In addition to overseeing all operations of Syracuse University’s athletic facilities, including the Carrier Dome, Peter Sala oversees other departments on campus, including Campus Planning, Design and Construction, Business and Facilities Maintenance Services, Physical Plant, Housing and Food Services Maintenance, and Energy Systems & Sustainability Management. Sala started at the Carrier Dome in 1982 as a production assistant and advanced through the ranks to production manager in 1988 and operations manager in 1991. He served as assistant director of facilities operations for the Carrier Dome from 1991 through June 2005 when he was promoted to associate director of athletics for facilities. In 2010, Sala assumed the role of managing director of the Carrier Dome. 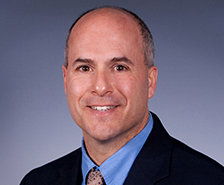 Sala served as the interim director of athletics from March 18, 2015 to July 6, 2015. At the Dome, Sala is responsible for all aspects of the day-to-day operations of the facility, including coordinating and scheduling events, managing the box office, maintaining the budget, and overseeing all necessary building maintenance. He supervises a full-time staff of 35, a part-time staff of more than 400, and the nearly 100 students that assist in Dome operations and facility changeovers. Sala also serves as the Dome’s contact person for television productions. Along with his Carrier Dome responsibilities, Sala is the construction manager for all athletics facility upgrades and new building projects, including recent additions such as the football weight room, five new outdoor synthetic turf fields, the Carmelo K. Anthony Basketball Center, Ensley Athletic Center, and the remodeling of Manley Field House into a new multi-use indoor practice facility. A 1979 graduate of Jamesville-DeWitt High School, Sala attended Morrisville College before transferring to the University of Massachusetts, where he completed its program in turf management.